Healthy employees are more productive, happier employees. By investing in employees’ wellness, companies are not only reducing stress and boosting the morale of their people, they are also reaping bottom-line benefits. These include reduced absenteeism and minimal staff turnover, concomitant with loyalty and greater productivity. Mangwanani Spa has wellness and relaxation therapy solutions that may be tailored to the unique requirements of your business. Our incredible Nomadic “Mobile Spa” team of empowered therapists can transform your workplace into a Spa Sanctuary. They provide acupressure treatments to your staff while they sit at their desks in a call centre, or a general office environment. This implies not interfering with daily business tasks; but subtly re-energising and invigorating your team while they work. 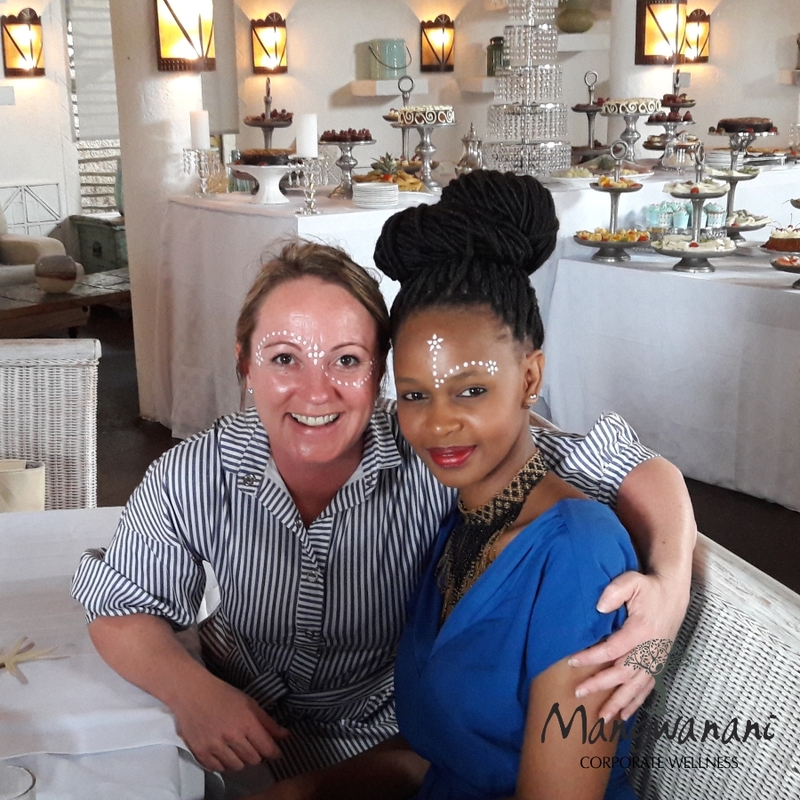 CORPORATE INCENTIVES: Mangwanani vouchers for treatments, spa packages, and products make a great incentive for your staff. We are able to provide discounts for bulk purchases. Employees who work behind a desk and computer for most of their day experience a build-up of tension in their muscles and eyes. This often leads to tension migraines, sore backs and shoulders. Absenteeism is often a side-effect. Mangwanani therapists are trained in acupressure treatment which focuses on key stress areas such as the back, neck, shoulders, scalp, and head. An on-site treatment ensures that there is the least amount of disruption to your business operation. Our ladies move silently through the office, providing effective, long-lasting relief from stress and tension. PRODUCTS USED FOR ON-SITE TREATMENTS: Our therapists are trained to place their hands on the shoulders of the employee in a gesture which announces the therapy. They then cover the employee’s shoulders with a muslin cloth scented with a combination of aromatherapy revitalisation oils; thereafter they begin their pressure-point therapy without interrupting the employee’s functioning. Our team are also equipped with a special USB aroma diffuser, which may be used to add lingering relaxation aroma. Rather than adversely interrupting the employee’s work schedule, our therapy increases productivity, creativity, and the sense of well-being. 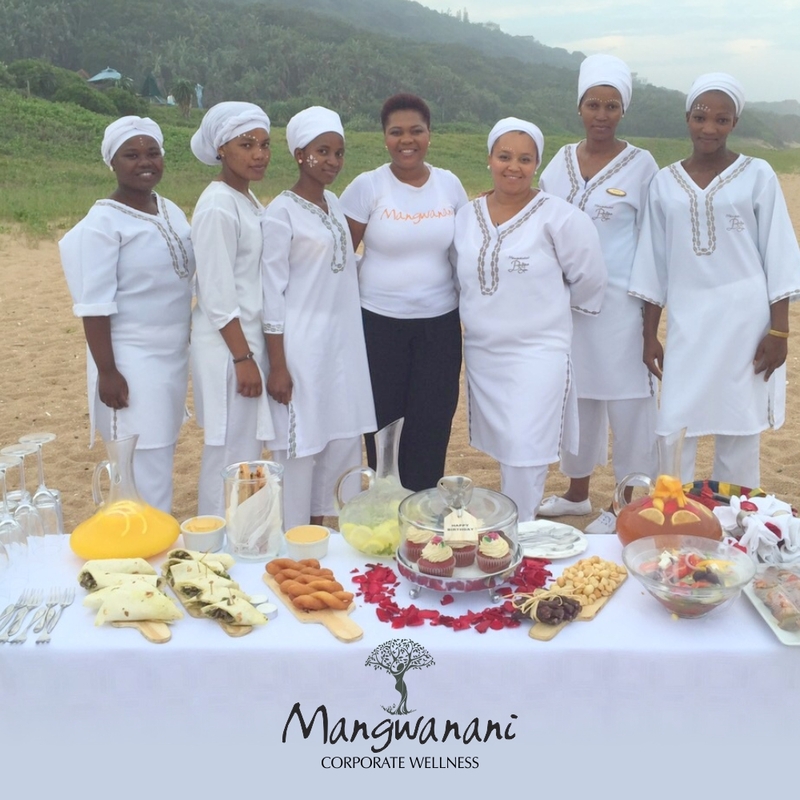 Mangwanani adds excitement and extreme value to any corporate function through the provision of relaxing treatments for guests. We are able to provide our treatments to companies through on-site Nomadic Set-Ups, In-Spa Functions, or per a wide range of Spa Events − Beach Spa, Riverbed Relaxation, Spa Oasis, inter alia. Nomadic Set-Up Mangwanani’s Events team comprises therapists, a manager, and décor. All treatment products will come to the venue of your function. We install a luxurious nomadic spa, providing treatments to your guests to make your function doubly memorable. We are also able to attend your Corporate Wellness days. Popular treatments for functions include our Signature Royal African Foot Therapy, Royal African Hand Pressure Point Massage & Hydration, North African Head Massage, Upper Back, Neck, and Scalp Therapy, and our Traditional African Hand Cleansing Ritual. 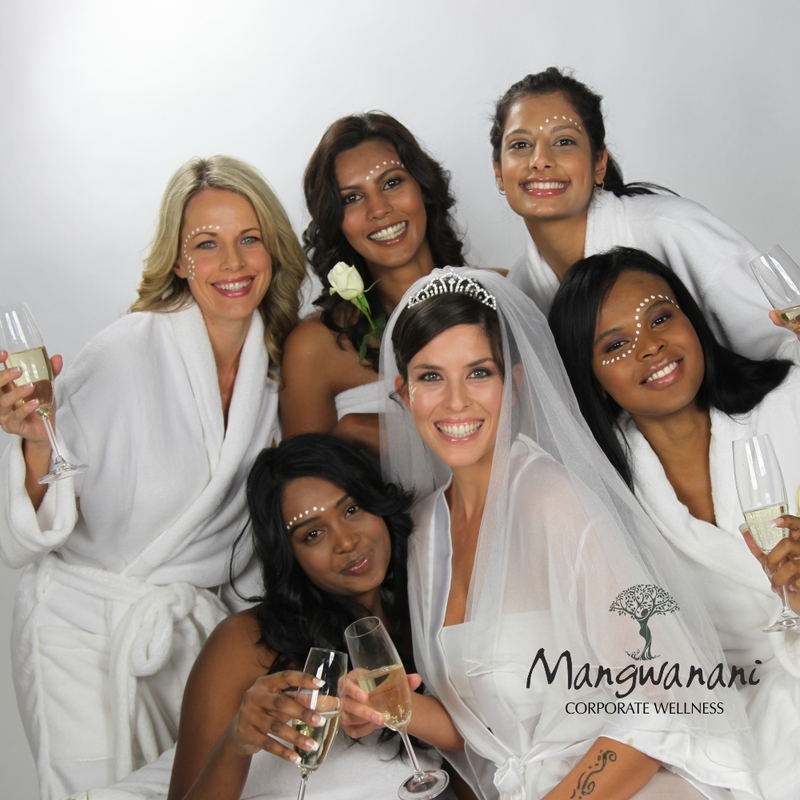 IN-SPA FUNCTIONS: Mangwanani is able to host large groups for spa events, launches, and team building, at our River Valley, Sibaya, and Winelands spas. We are also able to book the entire spa exclusively for such functions; we ensure that your banners, branding, and company logo are displayed and incorporated into these events. We host large groups of men and women for either our Full Day African Revitalisation Day Spa, or our Magical Moonlight Night Spa Experience. We are able to provide gifts for your guests. These vary from logo-embroidered luxury gowns and a premier collection of our unisex 100% natural product ranges. Mangwanani In-Spa or Nomadic functions are ideal for year-end events, functions which treat your clients or reward your staff.